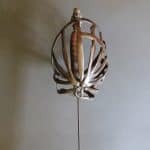 A good example of a Venetian Schiavona dating to the early 18th century. 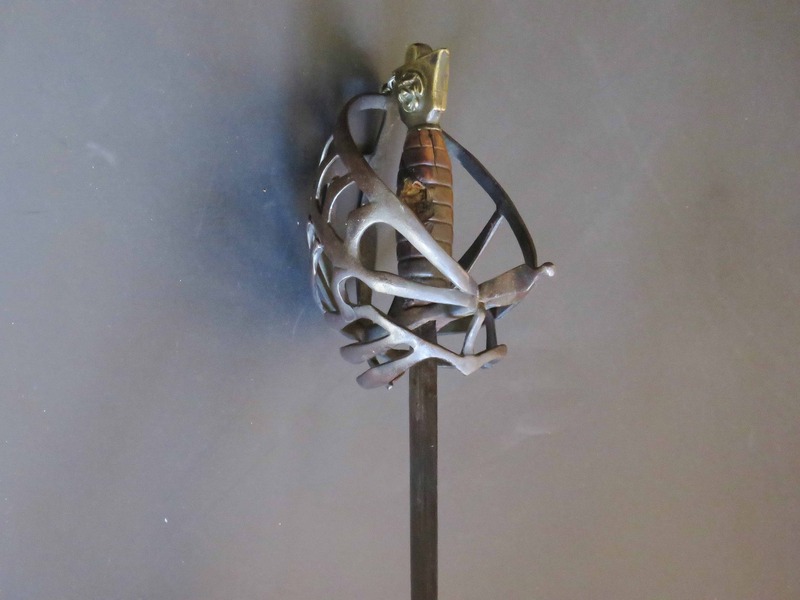 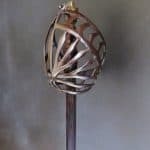 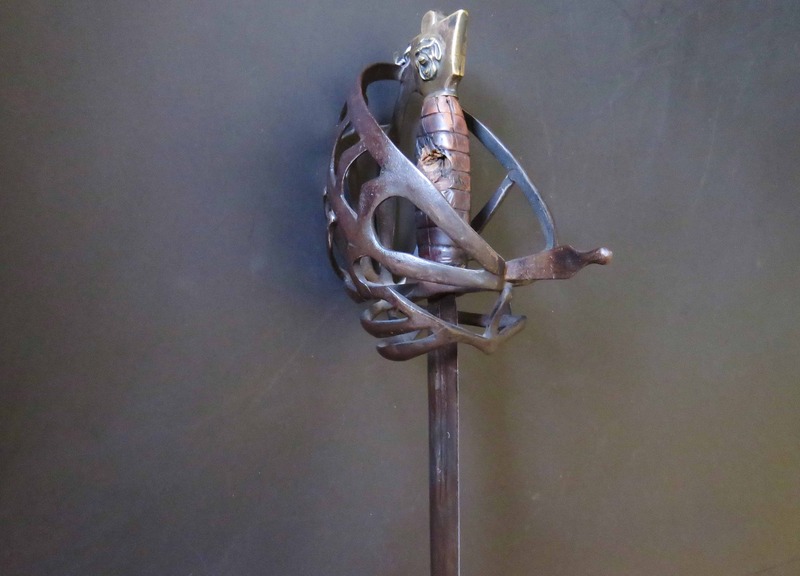 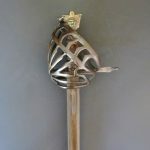 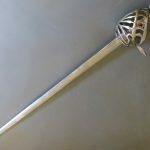 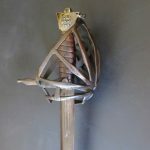 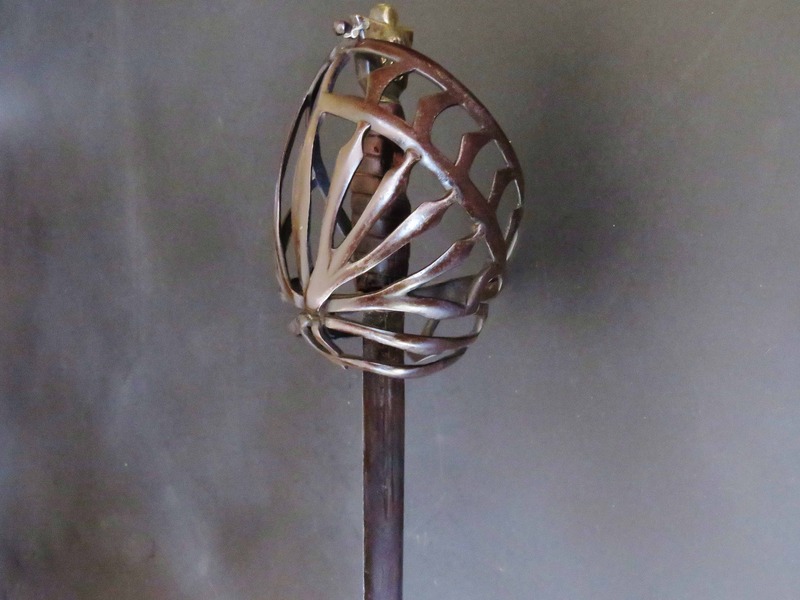 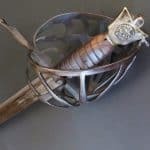 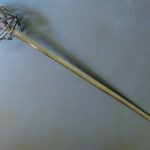 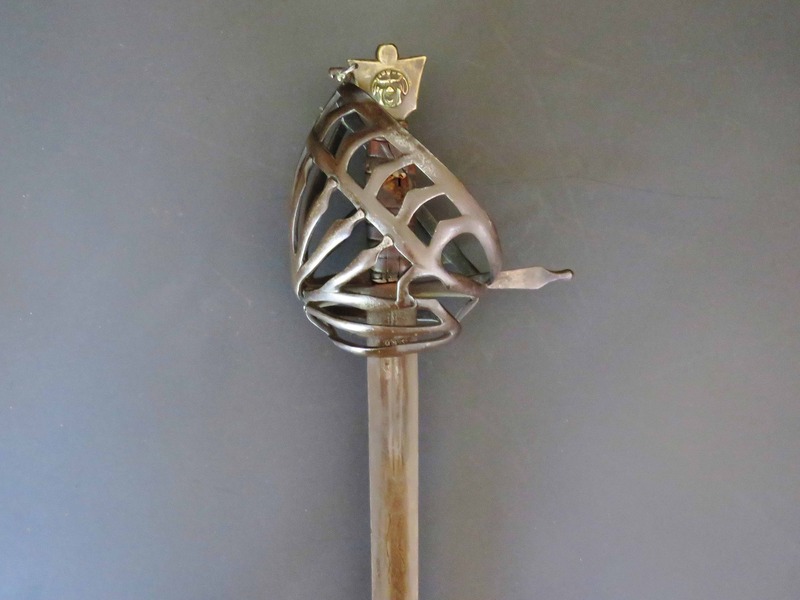 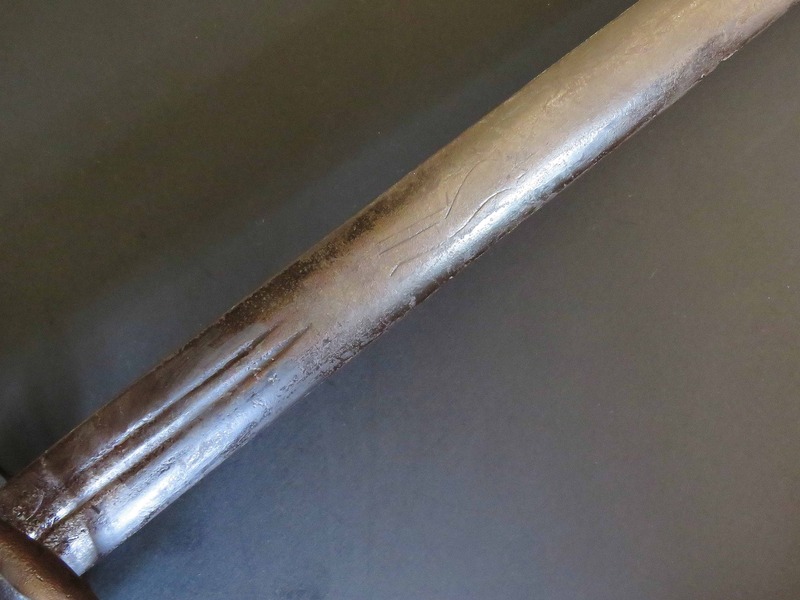 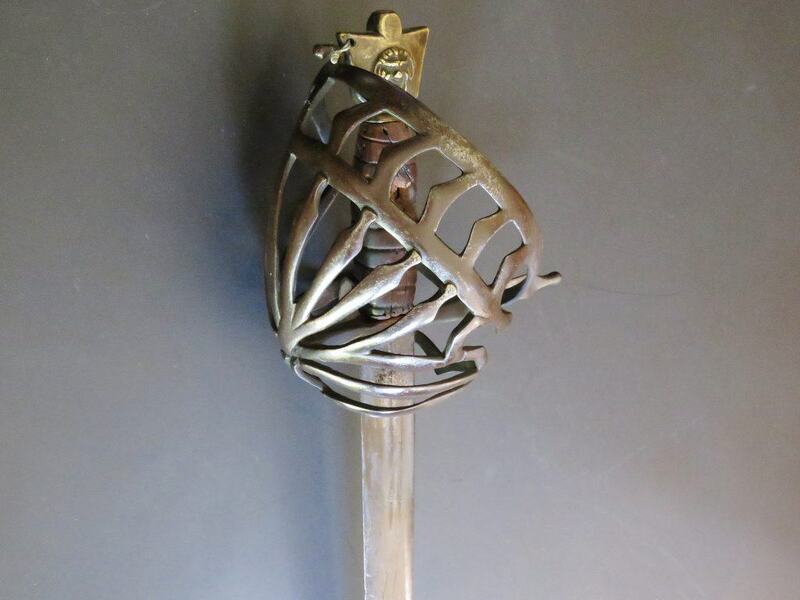 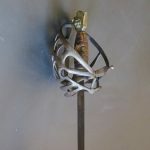 The hilt is a typical representation of the distinctive design of the Schiavona guard, in good condition, without cracks or repairs, consisting of a complex trellis of delicately formed flattened bars with rounded and well finished edges. 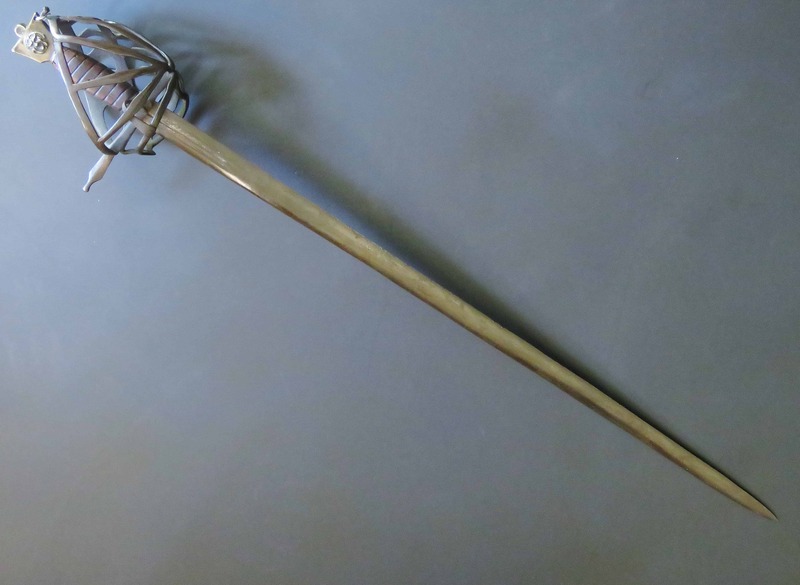 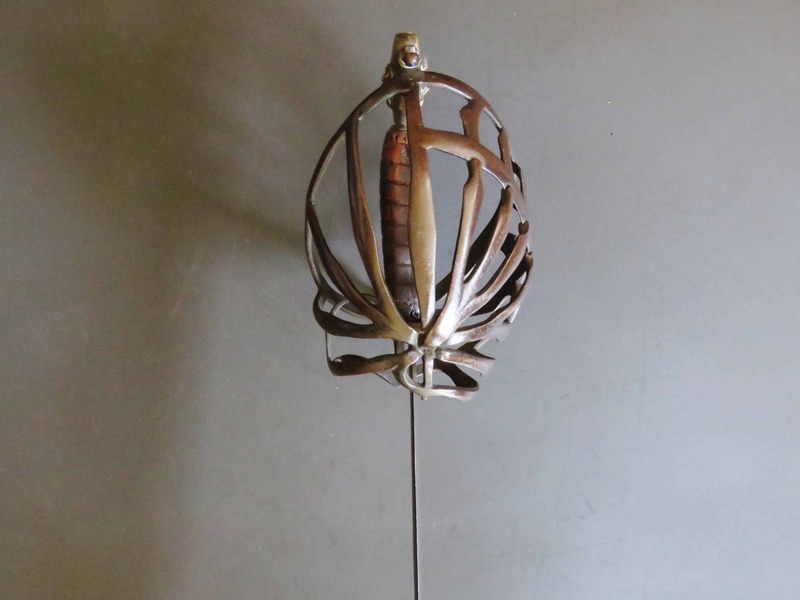 The rear quillon terminates in a globular finial and a thumb guard loop is present inside the hilt. 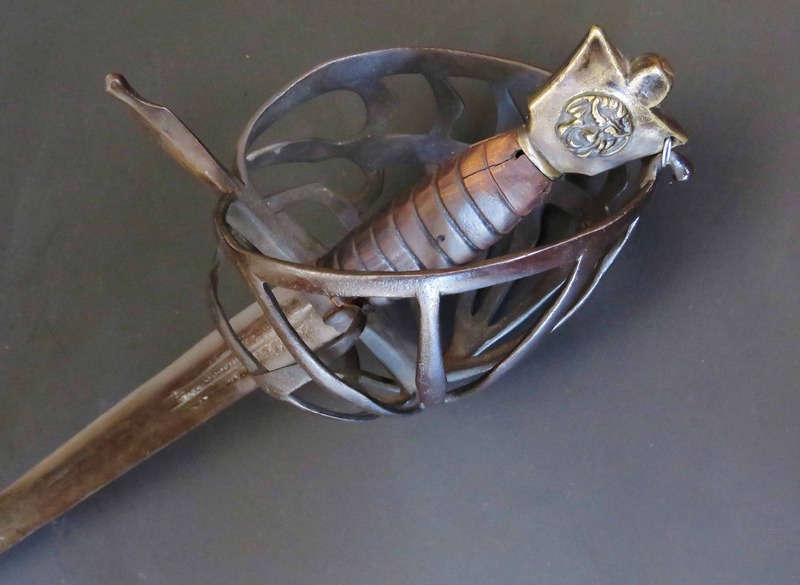 The brass pommel is fashioned in the typical cat’s head shape with integral button and finished with a grotesque mask either side. 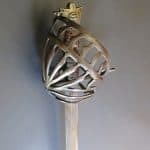 The wooden grip is baluster shaped and cut with shallow grooves. 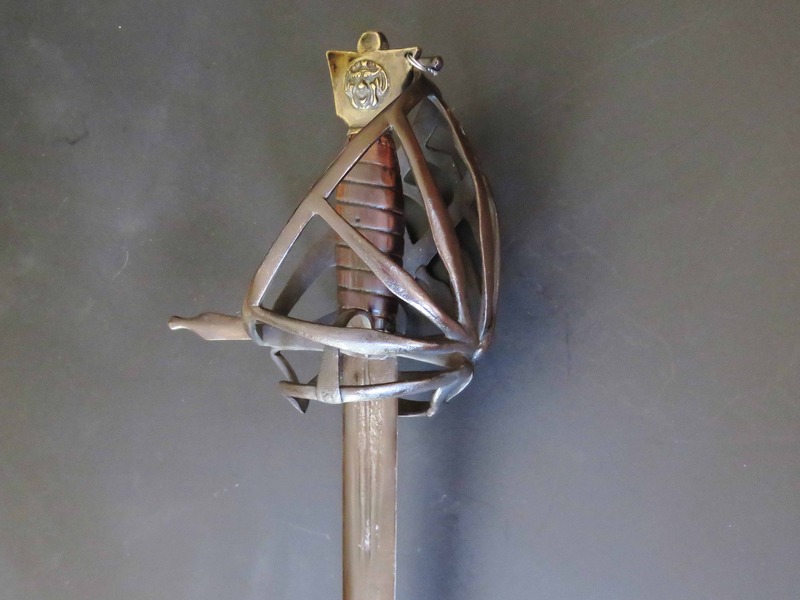 The double edged blade is of fine quality with three short fullers near the hilt cut with rows of crosses and “ANDRIA FARARA” marks now worn. 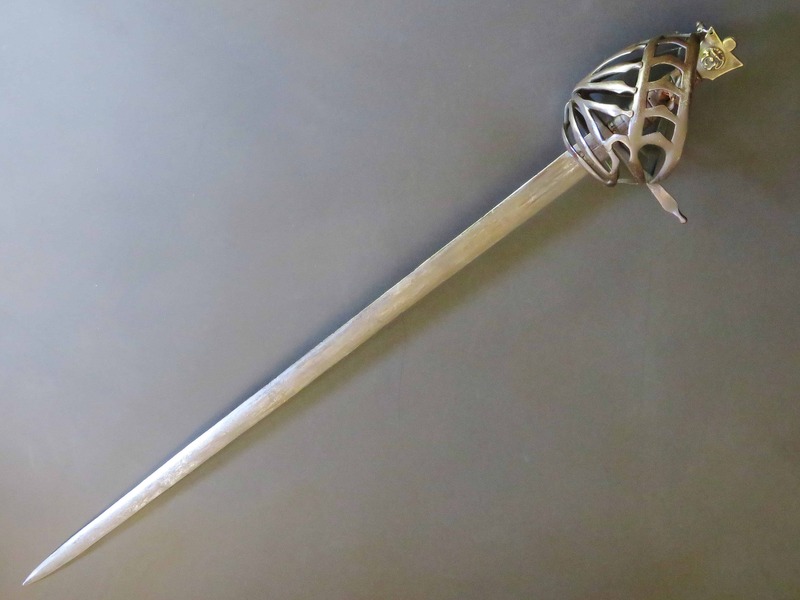 The blade is of flattened lenticular section and is just over 30 inches (76.5 cm) long and in total the sword is just under 36 inches (91 cm) long. 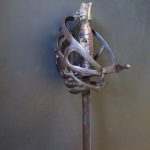 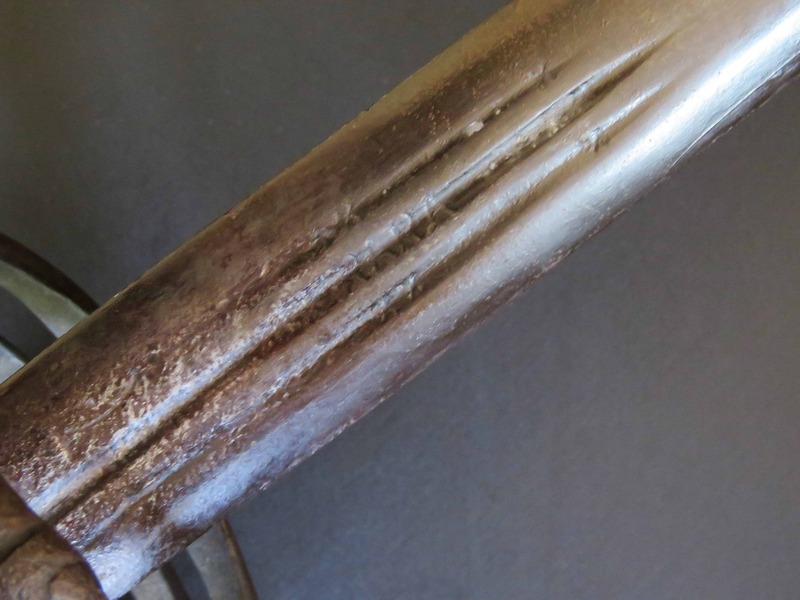 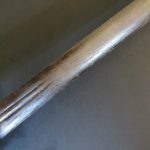 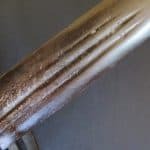 The sword is generally in good russet condition covered with an attractive and consistent brown patina with patches of light pitting on some parts of the hilt.